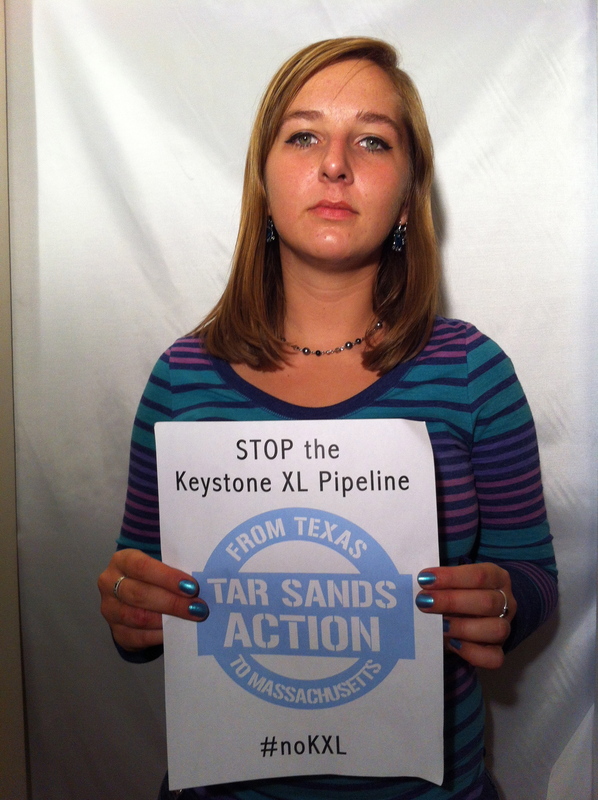 Emily Edgerly (20) is a sophomore at Tufts University majoring in Environmental Studies. After spending two months in Central America and biking across New England this past summer, Emily witnessed the reality of the climate crisis. It is the under privileged and impoverished that will be most impacted and least resilient to the effects of climate change. Emily feels compelled to be a part of the movement to put an end to these injustices. 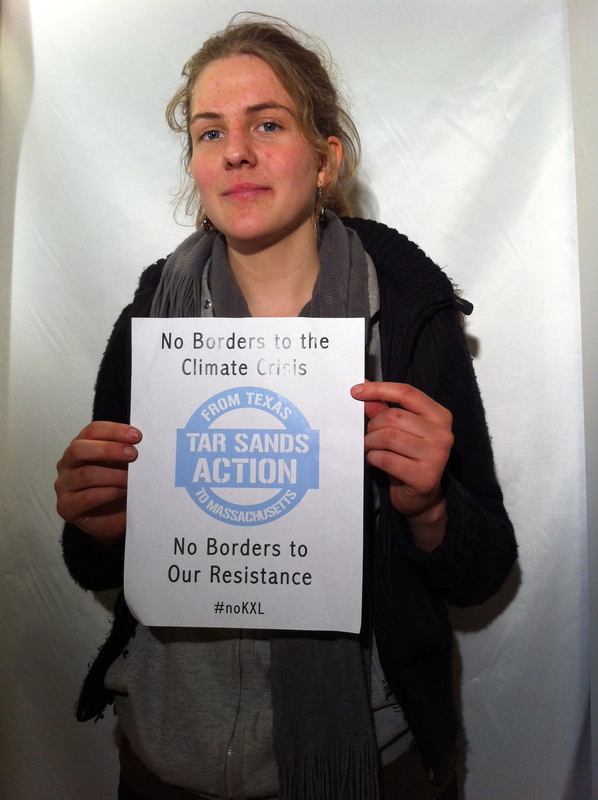 On her campus, Emily works to fight against fossil fuel infrastructure through the divestment movement. 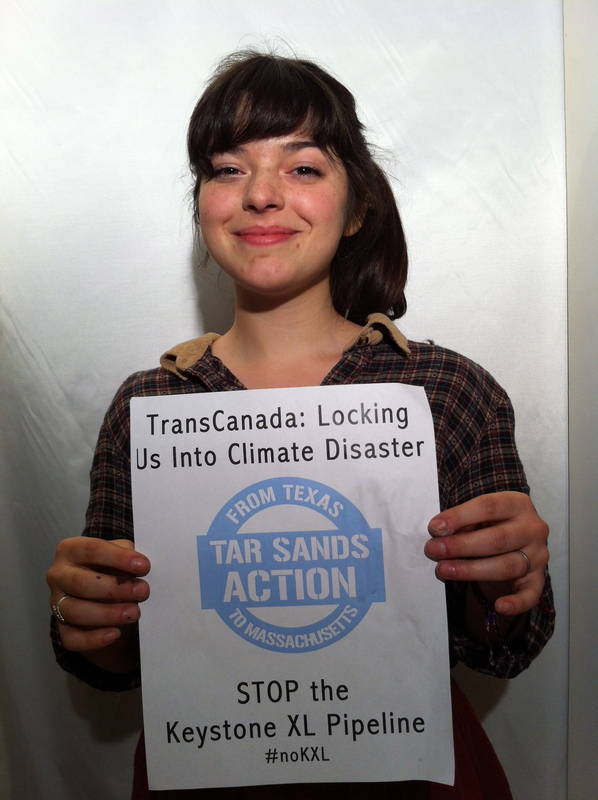 She wishes to be down in Texas fighting with the tar sands blockade, but hopes to add power to the movement from here in the northeast. 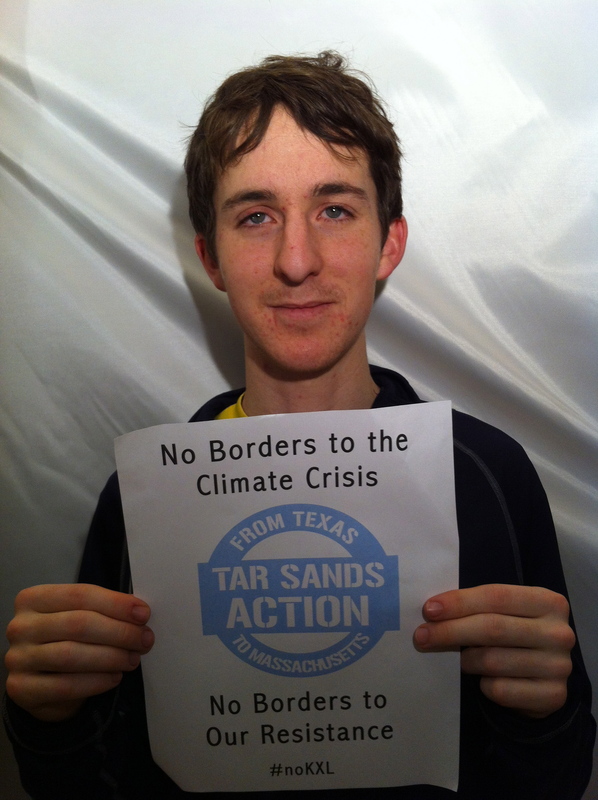 Devyn Powell (20) is a junior at Tufts University majoring in International Relations and Environmental Studies. She grew up in Portland, Oregon and has been involved in environmental activism since first hearing Bill McKibben speak about climate change in high school. She believes that anthropogenic climate change is the single greatest problem the world is facing, and knows that without immediate action, her generation and her children’s generation will have to struggle with the devastating consequences of an altered world. The lack of progress made by world leaders on addressing the issue has been disappointing and frustrating for her, and she hopes that peaceful direct action will help stimulate a more productive national and international dialogue on climate change and the environment. Shea Riester (22) is a recent graduate of Brandeis University. He is also a native New Yorker who is tired of helplessly watching; watching as Hurricane Sandy devastated his home town; watching as politicians have done nothing in the face of the climate crisis, the largest humanitarian crisis our species has ever faced. He decided to engage in non-violent civil disobedience because he will no longer stand by idly as corporations recklessly extract and burn carbon with full knowledge of the consequences, and politicians, paid off by record fossil fuel profits, do nothing to stop full blown climate catastrophe. Shea understands that the construction of the KXL pipeline, infrastructure that locks us in to immense carbon pollution, is a threat to all life on earth, and is determined to stop it. Ben Thompson (22) is a PhD student at Boston University studying Mathematics. He graduated from Cornell College in Iowa 2012 with a major in Math and a minor in Physics. Ben feels compelled to act after last summer’s drought impacted global food prices, making eating much harder for many around the world. Extrapolating into the future, Ben worries that the effects of climate change could overwhelm the global food system. 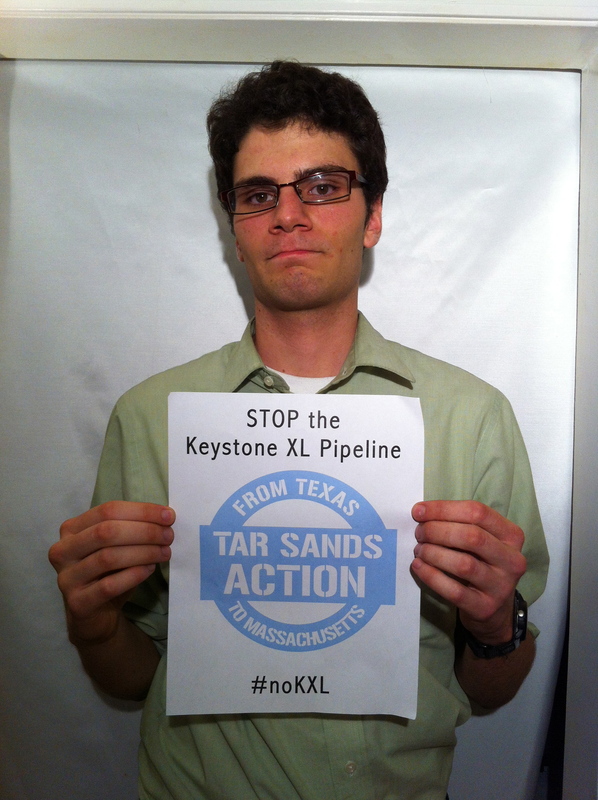 Ben Trolio (21) is a senior at the University of New Hampshire majoring in Environmental Conservation Studies. He grew up in the state of New York and has relatives on Long Island were impacted by Hurricane Sandy. The prospect of rising sea levels and severe weather from climate change threatening his extended family does not sit well with him. He sees fighting fossil fuel infrastructure and the divestment movement as keys to a livable future for coastal communities. Alli Welton (20) is a sophomore student at Harvard College, majoring in History of Science with a minor in Government. She grew up in a ranching community in eastern Washington state. As a child, Alli listened to stories from her grandmother about how her family barely managed to survive as farmers during the drought of the Great Depression. She thus understands the devastation that would occur if a permanent Dust Bowl were to spread across the Midwest, a predicted impact of the climate crisis that was foreshadowed by the intense droughts of the past summer. Dorian Williams (21) is a senior at Brandeis University, majoring in Anthropology. 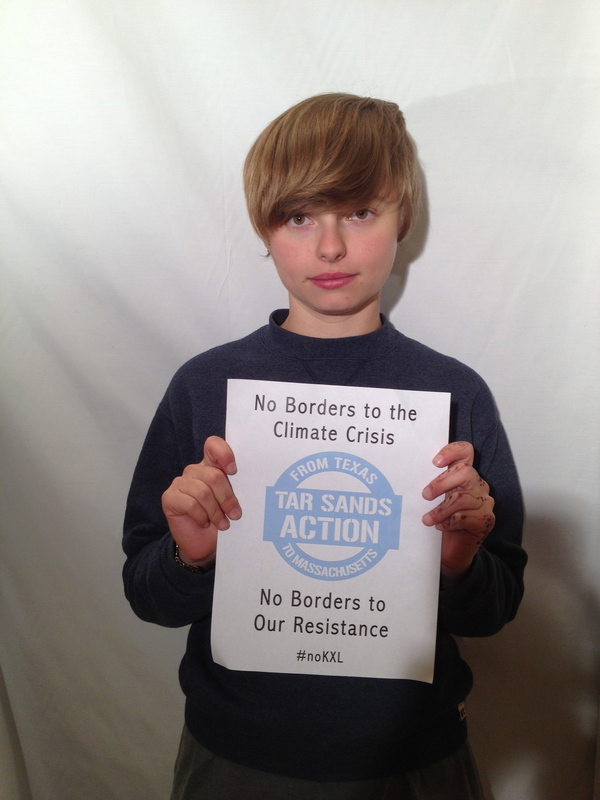 Dorian sees the fight against the Keystone XL Pipeline as the final line in the sand for the climate movement given that burning the Alberta tar sands will ensure catastrophic climate change. 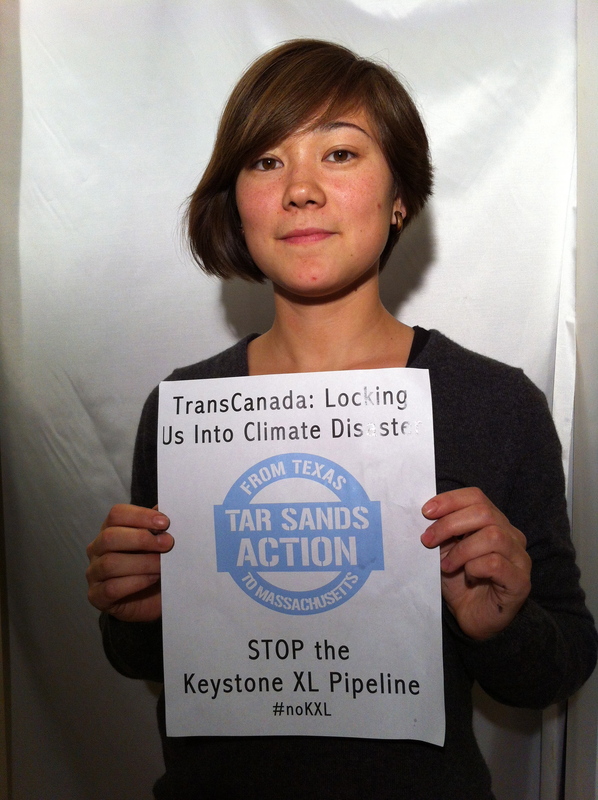 She has found this threat to our food, water and national security unbearable and was motivated to first took action against the tar sands in August of 2011 during the Tar Sands Action. There, she was a part of 1,253 people who were arrested in front of the White House in protest of permitting the Keystone XL Pipeline. Now she hopes to bring that fight here to Massachusetts and call out those responsible for endangering our collective future. I applaud your courage and commitment. 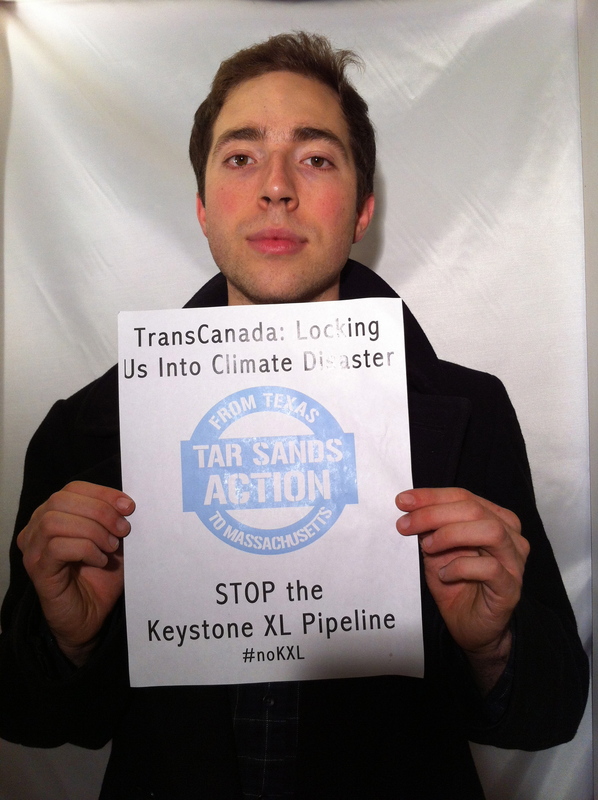 Let’s hope that TransCanada gets the message that this resistance will not go away. Great statement explaining why everyone should be concerned. Respect. I look forward to working with you all in 2013.